Why to choose us as your local Kensington electrician? Are you in need of an experienced electrician in Kensington or W6, W8, W11, W12, W14? dkp Electrics is a business of extremely professional electricians that can carry out work in your neighbourhood. At dkp we have a variety of different services, Including electric showers, rewiring, boilers, L.E.D lighting, ovens, fuse boxes and something that is becoming more popular these days, patio heaters as well as many more. All of our quotes are free, there is no call out charge and all our work is fully insured. There is no job too big or too small for our NICEIC Approved Electricians, which all dkp electricians have along with other relevant certificates and experience. Kensington, West London is the Royal Borough of Kensington and Chelsea. This is a very highly populated area and by far the most wealthiest and glamorous part of London. We have managed to take our expertise to the maximum level on many occasions here. Here at dkp, we have our own team of specialist expert electricians who can carry out more complex tasks such as installing CCTV for your home or work place which can also be accessible to your smart phone as well as your computer. Other services we also specialize in include under floor heating and installations. You may think that if it's just a small job there is nothing to worry about, but this could possibly get worse and become a bigger job than expected. To avoid any future problems, why not give our team of highly professional and friendly electricians a call and have a chat with them about any concerns you may have regarding electrics. All of our jobs get finished thoroughly and have been recommended by others we have carried out work for in the past. 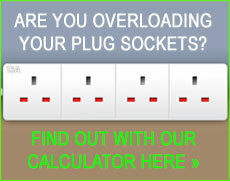 dkp Electrics might also be your answer to a highly efficient energy saving service. If you need some help or advice in dropping your energy bills or if you are attracted to the idea of having solar panels installed on your home, we are confident our highly skilled team will be able to assist you with all of your electrical needs. Energy saving is a service we highly recommend to everyone as energy prices are definitely on the rise. With our 24 hour emergency call out service for any electrical faults, we can have a qualified electrician meeting your needs in Kensington and other parts of London. Please do not hesitate to contact us today for a free quote!